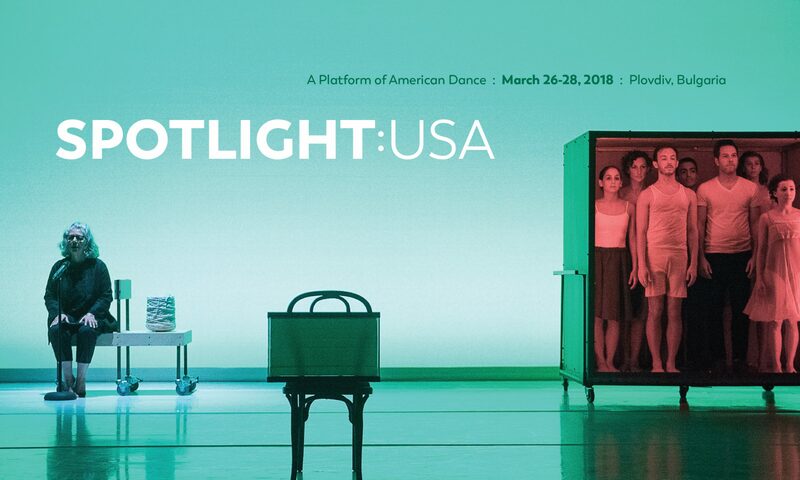 “SPOTLIGHT: USA,” a platform of American dance in Bulgaria, will feature U.S. dance companies in performances in Plovdiv, Bulgaria, from March 26-28, 2018. SPOTLIGHT will introduce American dance companies to international dance professionals, increase cultural exchange and appreciation between the U.S. and Bulgaria, provide opportunities for American dance to be seen and embraced by international audiences, and lay the groundwork for sustained collaboration among the numerous countries that will attend. Performances will be presented in four venues throughout Plovdiv, the 2019 European Capital of Culture. American Dance Abroad and One Foundation for Culture and Arts are closely collaborating on the project and together will invite and host 50+ international programmers from approximately 30 countries to attend the event. American Dance Abroad is a national organization that seeks equitable cultural engagement among American dance artists and companies and their international counterparts. It facilitates introductions and creates opportunities for artistic discovery and dialogue. It was created as a tactical response to the decline of American dance in the global marketplace as put forth in Dance America: An International Strategy for American Dance, co-authored by Carolelinda Dickey and Andrea Snyder in 2009, co-directors of American Dance Abroad. One Foundation For Culture And Arts was established in 2010 to support the activity of EDNO, a platform that produced the annual festivals Sofia Design Week, Sofia Dance Week and Sofia Architecture Week. In 2013, the festivals were relocated from the capital in Sofia to Plovdiv, the second biggest city in the country, to aid the decentralization of cultural events in Bulgaria. The festivals were hence renamed One Design Week, One Dance Week and One Architecture Week. One Foundation for Culture and Arts’ mission is to provide continuous development of local culture through delivering rich, innovative and high quality content that is accessible to all communities, and to enable cultural exchange between local and international artists. The goal is to promote and encourage contemporary culture and arts of the highest standard by propagating world-class art and offering a program of events that can be experienced and enjoyed by all.